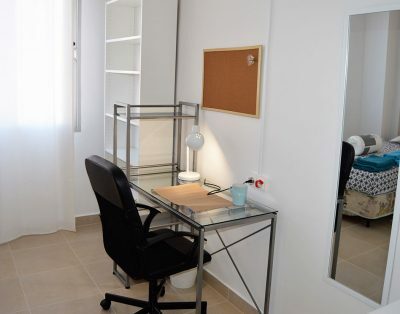 Beautiful single room for medium and long term rent. 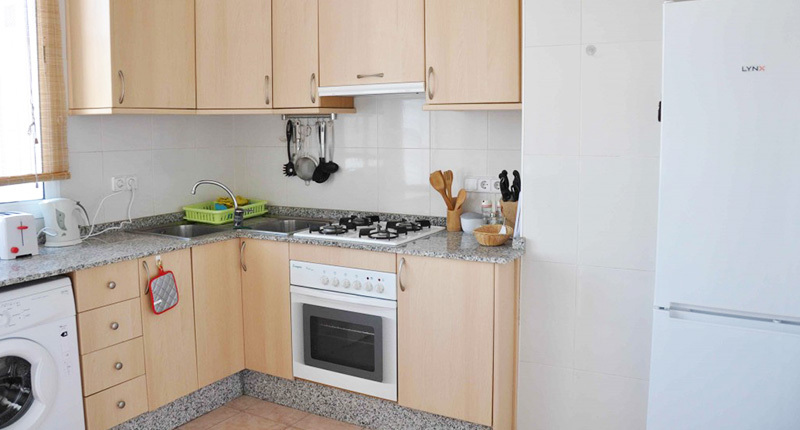 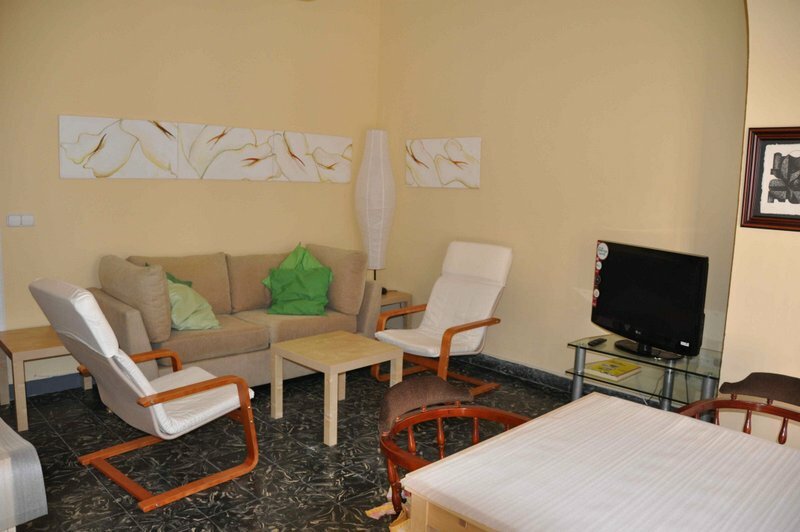 The room is situated in a nice shared apartment for girls only close to Plaza Espana and Angel Guimera metro station. 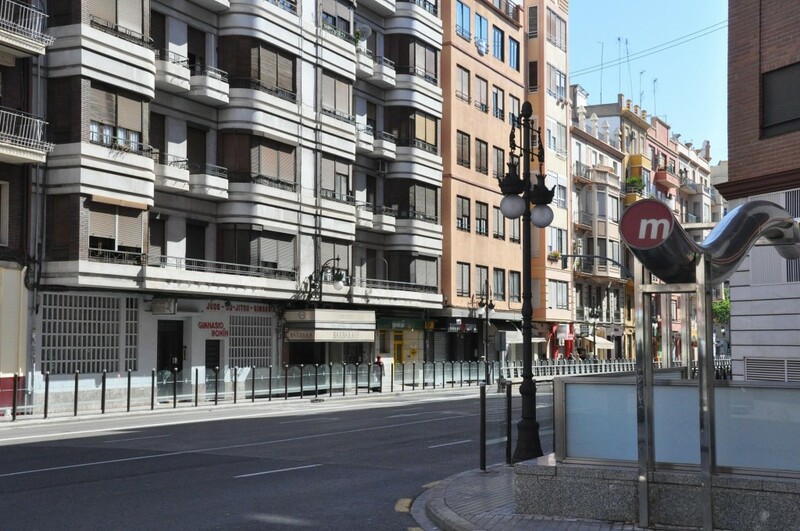 The area is ideal for students and is well connected to the rest of the city and universities thanks to the metro stations and bus stops nearby. 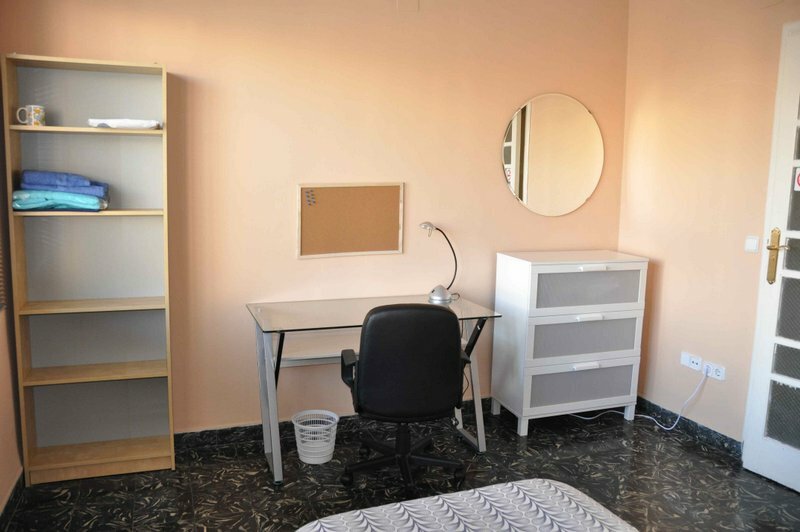 The room is equipped with a single bed, study desk and wardrobe. 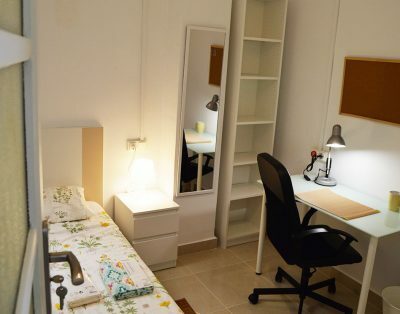 It also has two bed sets and towels. 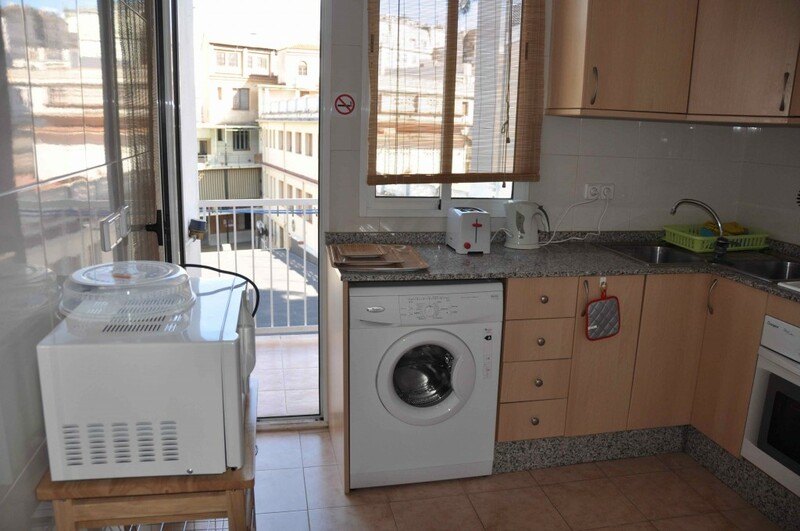 The apartment has for rooms, all for girls only, two shared bathrooms, a nice and wide living room with balcony ad a fullyequipped kitchen with all you may need: electric oven, gas hob, electric water boiler, bread toaster, coffè machine, dishes and cutlery. 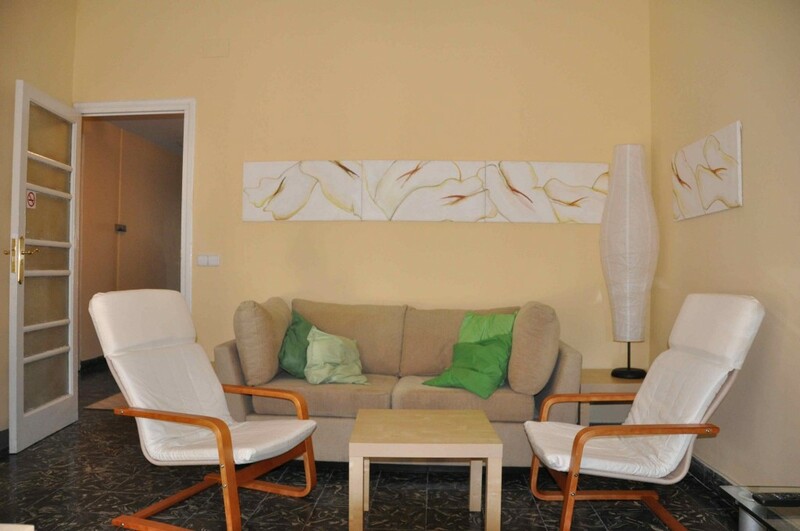 The monthly rent includes electricity, water, gas and internet bills, weekly cleaning ad airport transfer. 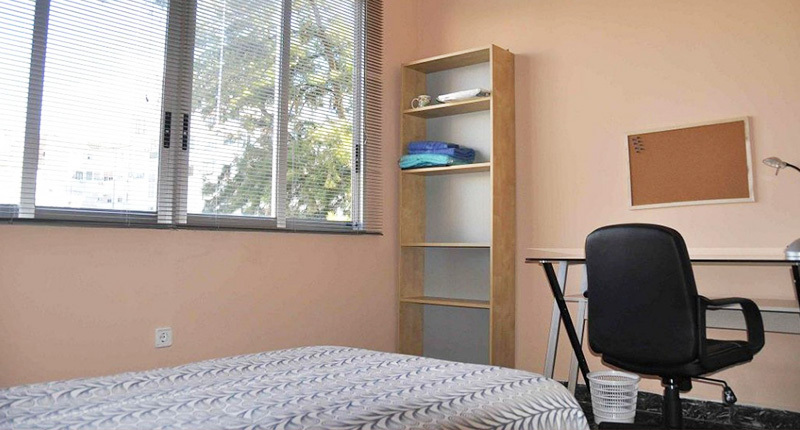 Our flexible contracts allow you to organize your journey the best way possible and once you are in the city you can always count on us for personalized assistance. 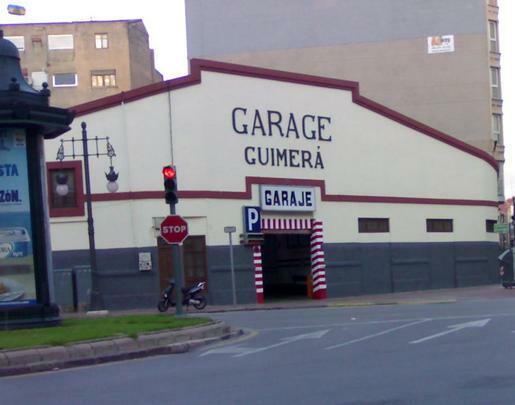 The area of Angel Guimera is minutes away from the Turia Gardens, the old city center El Carmen, Ruzafa and some of the most amazing turistic attractions of Valencia.